The 180 meter long, 34627 dwt bulk carrier Rainbow Quest struck the Brooklyn Bridge on the East River in New York. The vessel’s light tower struck the underside of the bridge. Authorities stopped traffic on the bridge for two hours while it was inspected for damage. No damage was reported and the bridge was reopen for traffic. Reports state the river’s tide was high, but not at its highest point. No injuries or pollution released. 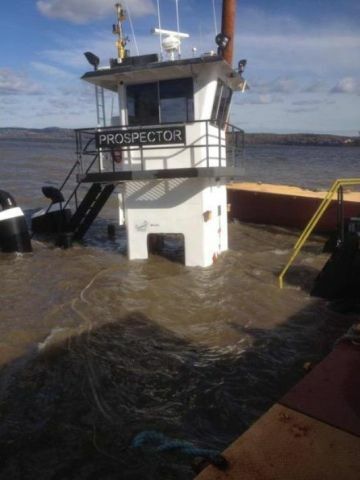 On November 2, the 25 foot long tugboat Prospector sank while berthed at a boat yard on the Hudson River in Upper Nyack, New York. 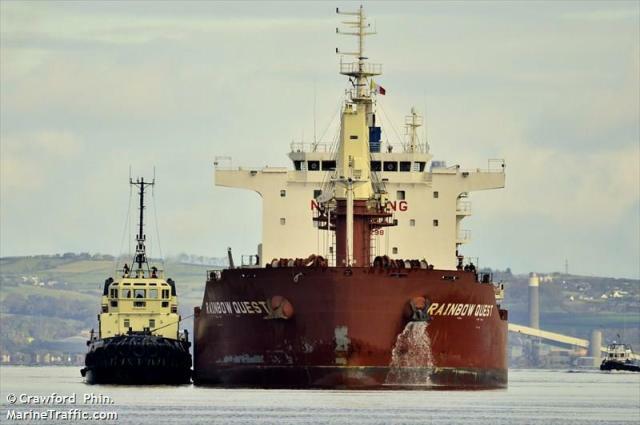 During the night strong winds and rough waters caused the vessel to suffer water ingress and later sink. Reports state wind gusts reached 75 mph and there were 8 foot swells in the river. No reports of injuries as no one was on board the vessel at the time. The Coast Guard was notified and launched an investigation into the incident.